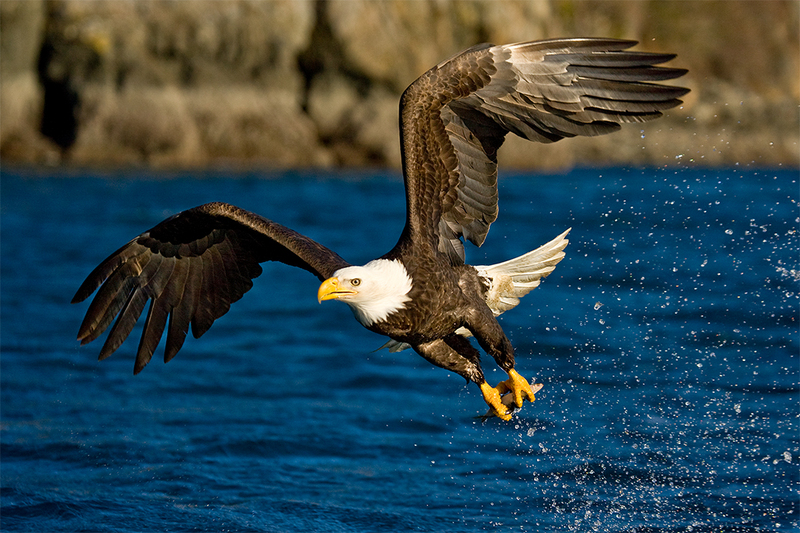 The grace and strength of the magnificent American Bald Eagle are evident in this dramatic photograph. This image was captured mere seconds after the eagle snatched lunch from the icy February waters at the Kenai Peninsula on the southern coast of Alaska. In this photograph, the action is richly punctuated by the crystal clear spray and the expanse and position of the powerful wings. The intensity of the bird's eyes, along with its posture and angle coming off the water, convey the elegant and silent power of this beautiful creature.